Homeschool games are not only fun, they are a great way to reinforce educational concepts and they promote family unity. In addition to strengthening relationships among family members, homeschooling games promote character development by improving sportsmanship, concentration, patience, discipline and willingness to follow directions. They also build thinking skills, problem solving skills, and listening skills. Make games a regular part of your schedule by setting aside one night a week for a family game night. Here are some tips for choosing educational games, along with a list of educational games many homeschoolers enjoy. When choosing homeschool games, look for games that involve interaction with family instead of computer games that promote solitary play, and can lead to addiction or overstimulation. Older vs. Younger - Choose games that will appeal to family members of all ages or find ways to adapt games to the needs of younger children. Modify the directions to let little ones participate, or let them help older players move playing pieces or lay cards in a stack. You should also encourage your older children to play games that appeal to their younger siblings. Here are some of our favorite preschool educational games. Skill vs. Chance - Alternate playing skill based games with playing games of chance. Games of skill rely on knowledge or ability in specific areas. These games challenge children and help them set goals to reach. In games of chance, every player has an opportunity to win. These games level the playing field, and place younger children on equal footing with older siblings and parents. Cooperative vs. Competitive - Cooperative games have no winner or losers. They allow family members to work together to solve a problem or accomplish a goal. Competitive games promote good sportsmanship by teaching children to win or lose gracefully. They build character and help children develop tools to handle life's challenges and disappointments. Educational vs. Fun! I shy away from games in teacher's resource stores and catalogs that are developed specifically for learning. These games sometimes seem overly contrived and can quickly become boring. Your children should look forward to playing homeschool games, not view them as another school activity. One of our favorite educational games is Scrabble. This game is great for building vocabulary, dictionary, and spelling skills, and practice addition while tallying pointts and keeping score. My oldest son loves this game so much, he sometimes plays by himself. We bought the Scrabble Diamond Anniversary Edition that has raised borders around each space on the board so the letters stay in place. Card Games - Card games, such as Hearts and Gin Rummy, build memory and strategic thinking. Cards are inexpensive, and can meet the needs of students of all ages. Here are the rules and directions to popular children's card games. In addition to traditional playing cards, my family also likes Uno, Skip Bo and Phase 10. Pen and Paper Games - Because pen and paper games are portable, they are great for carschooling. Word searches, crossword puzzles, hangman, and Mad Libs build vocabulary and language skills. Sodoku games and logic puzzles encourage mathematical reasoning. Some of our favorite pen and paper games are published by Critical Thinking Press. Trivia Questions - Games of trivia increase the ability to recall information, and help children learn to think on the spot. They can be used to review Bible verses, vocabulary words, geographical information or any other facts. Puzzles - Puzzles improve concentration, patience and visual discrimination. They can be worked on as a family, or done quietly while listening to music or audio books. You can find puzzles on topics ranging from world geography to astronomy to the human body. Families with younger children will love these floor puzzles by Melissa and Doug. Chess - Chess improves academic performance in math and science, and has even been shown to raise a student's IQ. 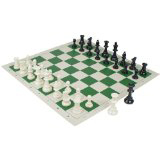 We purchased a Tournament Chess Set and Competition Clock, and taught ourselves to play chess. Chess clubs are a favorite among homeschoolers. If there is not a chess club in your area, start one of your own. You don't have to spend a fortune on games for your family. Homeschool games can be purchased used at thrift stores and garage sales, or found online. You can save money and help your children develop art and writing skills by having them create their own game boards, playing pieces, rules and directions. To create games like charades and pictionary, you'll need nothing more than a pen and paper. Outdoor games like obstacle courses, relay races and scavenger hunts are also fun. In addition to being free of charge, they contribute to an active lifestyle and help children become comfortable performing in front groups. Follow this link to find homeschool game reviews. 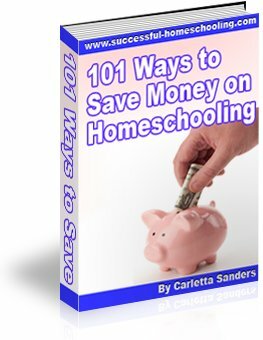 Follow this link to find additional homeschool ideas.